We were the first OWA club in the city and proud to be an active member. We have a number of coaches, technical officials and athletes who travel all over Ontario to participate in OWA sanctioned events. Hamilton Barbell welcomes all athletes of any age, gender or ability. If you are willing to learn, we are more than happy to teach, and to help you reach your athletic goals. Every athlete is different – and the programming reflects that. Nationally certified coaches put the puzzle together so you can lift more in a safe and efficient manner. Weightlifting skills can be applied to almost any sport as it sharpens focus, improves flexibility and coordination, as well as improving body composition through increased strength and power. If you’re looking to compete in weightlifting, Hamilton Barbell can work with you to plan a peaking program, and coach you on competition day. 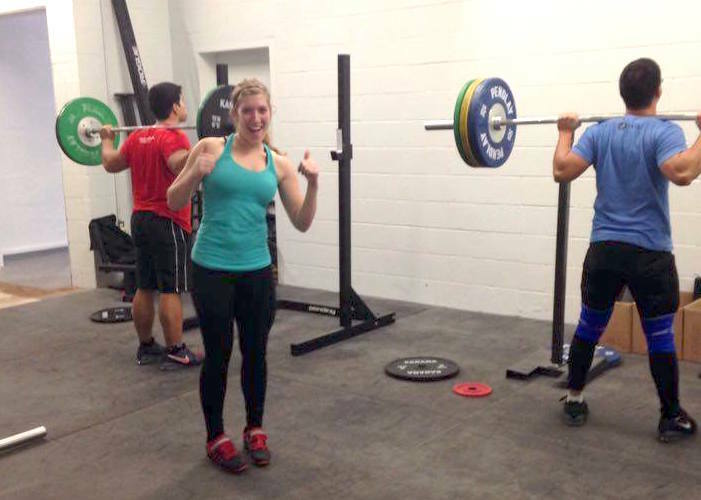 The reality is that olympic weightlifting proficiency is a requirement for any serious CrossFit athlete. Drop in and work with us to identify the most efficient way to progress in max effort and MetCon contexts. Free! Download our “Lifting for Youth” PDF and see what benefits you can look forward to. Download here! If the goal is to have huge muscles, then there are specific bodybuilding programs designed for that. Otherwise, athletes are more likely to develop the ‘toned’ look while improving their performance. As with any physical activity, there is always a risk of injury, but lifting has been shown to have the lowest injury rate along with cycling and walking. Furthermore, with proper technique and progression, lifting makes athletes stronger and more resistant to injury. This is 100% FALSE. Both males and females can benefit greatly from resistance training and be competitive in each sport. That’s okay! Everyone started as a beginner; strength is developed over time. Also, recognize that strength is only one piece of the puzzle: flexibility, balance, reflexes, speed and determination all contribute to success in lifting. If an athlete has an interest in competitive lifting, then their program will be tailored for those sports. Otherwise, a proper program will not compete with sport-specific training, but supplement it. All monthly plans include a FREE trial! All prices + HST. Students enjoy a 10% discount. Open gym only available to athletes who demonstrate proficiency.